We have been open now for seven years here at Honatsugi Amity. Over 200 students from Honatsugi, as well as, Ebina and Isehara enjoy coming to our school. Parents, students, and teachers have fun at Amity! We all work together to create a fun and educational environment! This is Hon-Atsugi Amity! 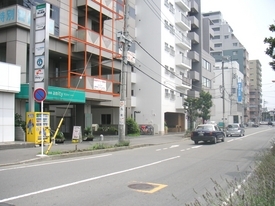 Honatsugi is conveniently located, and only a short train ride from many beautiful areas. Welcome to Honatsugi! It is a beautiful city full of many great places for entertainment, shopping and dining. It is a very safe, fun place. The children who come to Honatsugi Amity all love to study English. They are wonderful, fun students, who are a joy to teach! Our teachers are professional, and make lessons that are entertaining, educational and beneficial to the students. The Interactive Computer classes are one of everyone's favorite classes! Students learn about computers, and English, with fun children's software.